The life of the customer service agents in the call center are all controlled by strict corporate rules and certain methodologies that makes their effort very stupendous. Call center industry is one of the industries that fill life in the customers but there has been hardly any interest in favor of the hard working agents. Open-Handed Management: The daily activities in the customer service centers can be best when the leaders practice a philosophy and the atmosphere with relaxed atmosphere despite being fixated on the calls coming in. Let the agents enjoy their workstation with a special target and a deadline to achieve it. This industry is considered to render the services in a stressful environment. Therefore, it is important to develop a confidence motivation strategy to discuss ideas to reduce stress. Experienced Agents Can Be Your Motivation: A team always performs better when the knowledge sharing approaches are followed. Never hesitate to ask your senior agents if they have created their own tips, guides, or FAQ documents that they can share. Monitor their daily activities and extract the best you can emulate. Recognizing the Stress: The team leader should be proficient in recognizing the stress in the agents. After discovering this, the next step can simply involve stress killing practices that can be either done with interactive sessions and some games. 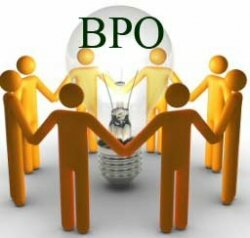 For example, team catch-up sessions with individuals will enhance the BPO outsourcing services definitely. Spending a time fraction of (10-15) minutes for small talks can be actually important in eliminate stress when they go back on to their workstations. Call Structuring: Any calling agents that dedicate their time for any no stress should be amicable with the call structuring process. The formula of a perfect calling process is always appreciated when the judgment is done with a special attention to the customer’s behavior. For example if your work is all based upon any KPO outsourcing services, you have to be very alert with the customer’s enquiry. He/she can ask you complex ones and you need to control your emotions while handling the call. Try to start a conversation by using their name and start acting to the main activities. For example an agent that is handling any offshore email support services should be well aware of the short-cuts to deliver efficient results. In addition, following the buzz sessions in a week can also be fruitful in the elimination of stress. Instruct the agents to follow some exercise on or between calls to relive them from stress and bringing energy. Stretching is a very crucial method to follow for people who works for long sitting hours. Follow some of these tips and bring the energy back to your team today now.